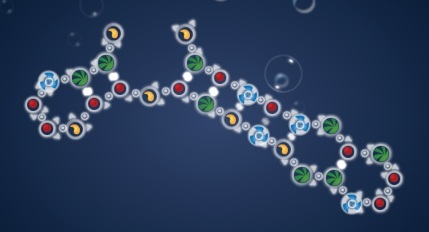 Investigators at Carnegie Mellon University and Stanford University have launched an online Serious Game that challenges players to design new ways to fold RNA molecules. 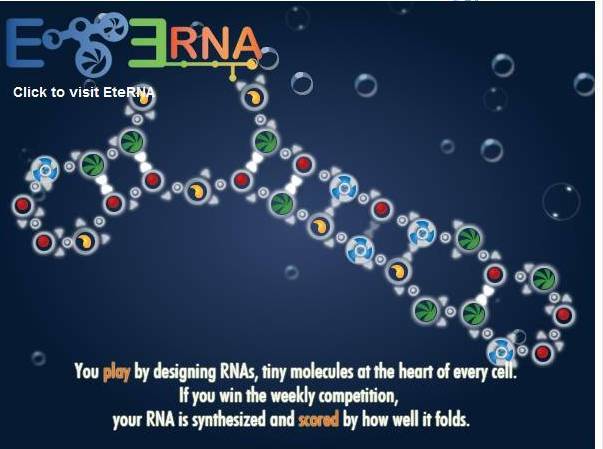 EteRNA was designed for non-scientists, allowing players to design elaborate RNA structures that go beyond simulations: players are scored and ranked based on how well their virtual designs can be rendered as real, physical molecules. But the game doesn't end with the highest computer score. Each week's top designs are synthesized in a biochemistry laboratory. This lets researchers see if the resulting molecules fold themselves into the 3D shapes predicted by computer models. In EteRNA you score when the molecule you've designed can assemble itself," said CMU's Adrien Treuille. Treuille is an assistant professor of computer science at CMU. He leads the EteRNA project with Rhiju Das, assistant professor of biochemistry at Stanford. Treuille noted, "Nature provides the final score — and nature is one tough umpire." Because EteRNA is crowd-sourcing the scientific method — in other words, enlisting non-experts to uncover mysterious RNA design principles — it is essential that scoring be rigorous. "Nature confounds even our best computer models," said Jeehyung Lee, a computer science Ph.D. student at CMU who led the game's development. "We knew that if we were to truly tap the wisdom of crowds, our game would have to expose players to every aspect of the scientific process. Design, yes, but also experimentation, analysis of results and incorporation of those results into future designs." "These experiments are the first-line strategy for validating a design and a crucial part of the scientific method," said Das, whose lab at Stanford synthesizes the molecules. The EteRNA project is funded by a grant from the National Science Foundation. 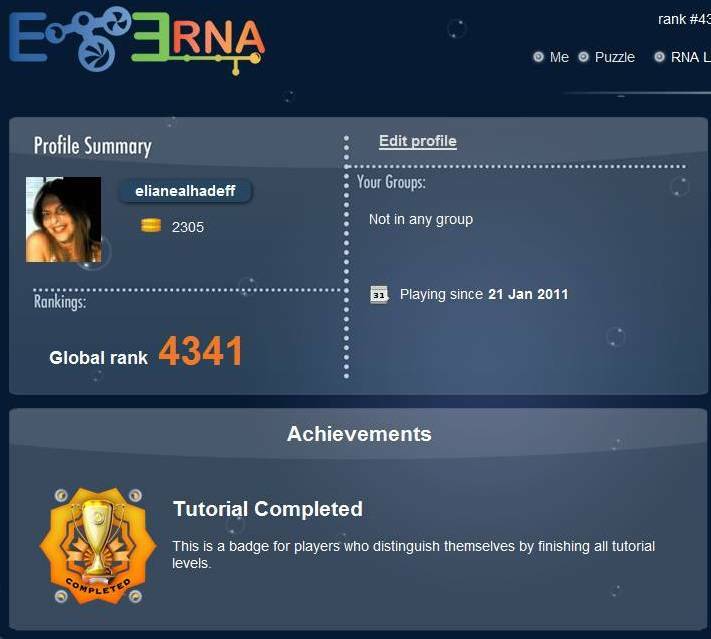 In the online game EteRNA, players are helping to create the first large-scale library of synthetic RNA designs. Biologists believe RNA may be the key regulator of everything that happens in living cells. Understanding its design could prove useful for treating or controlling such diseases as HIV. You don’t need to be a biology major to help reveal new principles for designing RNA-based switches and nanomachines — new systems for seeking, and eventually controlling, living cells and disease-causing viruses. By interacting with thousands of players and learning from experimental feedback, players are pioneering a new way to do science. Each colored sphere represents one of four types of nucleic acids: adenine (yellow), uracil (blue), guanine (red) and cytosine (green). Clicking the RNA mutates nucleic acids and refolds the RNA into its most stable shape. EteRNA challenges players to design RNAs which fold properly in practice. Visit EteRNA to play the full version.